Missed out on the Kickstarter campaign, or looking to grab one more special reward? For $25, your child's picture can be featured on a food allergy awareness poster that will be available for schools, churches, community centres and other venues to to help raise awareness far and wide. 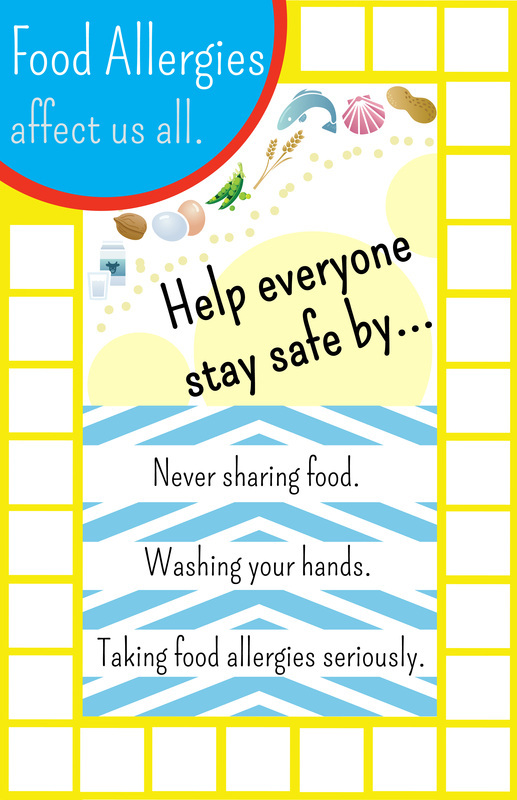 You will receive TWO 11x17" allergy awareness posters (one for their school, one for their bedroom). Featuring a collage of 24 pictures surrounding the message: "Food allergies affect all of us. Be mindful of your actions & be supportive of your friends". After purchase, please email your photo (high resolution please) to kyledine (at) gmail.com. Note - This does not include a copy of the DVD. Click here to pre-order the DVD separately.